Women's unique biological needs make certain nutrients 'must-haves,' and often, despite their best efforts to eat a balanced diet, women simply don’t meet the recommended daily allowances for crucial vitamins and minerals. In fact, in recognition of this, nearly half of American women today take a nutritional supplement. However, it can be hard to separate out advertising claims, and to know what supplements are really required, and what nutrients we naturally get enough of in our diets. So we did some research for you, to find out what scientists say, often based on clinical research trials, about nutritional supplements. We found that the following vitamins and minerals are crucial for women's healthy functioning and should make up any strong supplement regime, particularly if eating habits are less than ideal, or gastrointestinal issues make nutrient absorption a problem. Most people know that calcium is a requisite for strong bones, which is crucial for women, who develop osteoporosis five times more frequently than men. In fact, a little over 1% of a women’s body weight is calcium, emphasizing the importance of this mineral. Virtually all of a woman's body calcium is in her bones and teeth, but the remaining 1% aids in heart and muscle action, blood clotting and cell function. Additionally, according to a study in the Archives of Internal Medicine, women who took 1,000 mg or more of calcium had a 40% lower risk of having Premenstrual Syndrome (PMS) symptoms than those who took none. Vitamin D helps the body absorb calcium, so be sure your calcium supplement also has D in it. According to the USDA, pre-menopausal women under 50 need about 1,000 mg a day; post-menopausal women need 1,200 milligrams (mg). The National Institutes of Health Office of Dietary Supplements notes that magnesium is required for over 300 biochemical reactions in the body. Plays a role in metabolism and building of proteins. Research also suggests that magnesium decreases hypertension in women. Deficiency symptoms are serious, including chronic or excessive vomiting and diarrhea, and migraines. 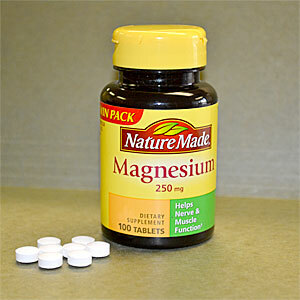 If you have Crohn's disease, you may be at risk for a deficiency of magnesium, due to increased absorption ability. The Recommended Dietary Allowance (RDA) for magnesium is currently 320 mg daily for women over 31. Iron makes up proteins that transport oxygen and regulate cell growth and differentiation. A lack of iron, therefore, limits the amount of oxygen cells receive, leading to anemia, which causes fatigue, memory loss, shorter attention span, and decreased immunity. Other symptoms of iron deficiency include cold hands and feet, restless legs, and split nails. And iron deficiency is a serious problem throughout the world. Premenopausal women need at least 18 (mg) of iron daily, but it appears that many simply aren't getting that. The World Health Organization asserts that iron deficiency is the leading nutritional disorder world-wide (Centers for Disease Control and Prevention 1998), and 80% of the world's population might be iron deficient. 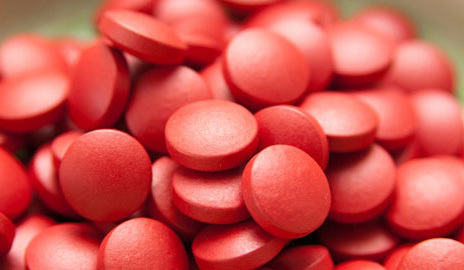 Iron deficiency causes a reduction in the number of red blood cells produced, leading to anemia, which causes fatigue, shortness of breath, and increased vulnerability to infection. Iron deficiency is a hazard for women who heavy periods, since blood loss decreases iron in the body, so women who bleed heavily during menstruation should be sure to increase their iron intake, and that is often best done through a supplement. 'Vitamin B' was once thought to be a single nutrient, until researchers later discovered that it was made of several vitamins, which were designated by numbers. In fact, the 'B vitamins' have no special relationship to each other. Each component of the B-complex is unique in structure and function, as evitamins writes, "Vitamins B1, B2, B3, and biotin participate in different aspects of energy production, vitamin B6 is essential for amino acid metabolism, and vitamin B12 and folic acid facilitate steps required for cell division. 3 of the B vitamins in particular are crucial to women’s health: the B6, B12, and B9, or folate, vitamins. VITAMIN B6 is required by the body for more than 100 enzyme reactions involved in everyday metabolism, assists in brain development during pregnancy and infancy, and impacts immune function. 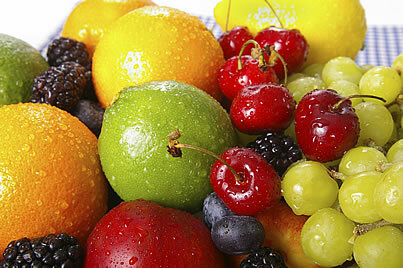 Cancer: Research has correlated low levels of vitamin B6 with increased risk of some kinds of cancer. One meta-analysis discovered that those whose vitamin B6 intake was in the highest quintile had a 20% lower risk of colorectal cancer than those whose intake was in the lowest quintile. Cognitive Function: Some theorize that low levels of vitamin B6 are correlated with the cognitive decline that can accompany aging. One 1996 study found that higher concentrations of vitamin B-6 were related to better performance on memory assessments. Premenstrual Syndrome Some studies indicate that vitamin B6 supplements can help reduce the symptoms of premenstrual syndrome (PMS), when taken in 100 mg doses. Researchers analyzed 9 studies including nearly 1,000 women, who took either B6 or a placebo. B6 was twice as effective as the placebo in lowering symptoms of PMS. Women ages 19-50 should take 1.3 mg; after 50 the recommendation is to increase it to 1.5 mg. Pregnant women should take 1.9 mg, and nursing women 2 mg.
VITAMIN B9/FOLATE (known as folic acid when added to nutrients or in supplements) assists in the production and maintenance of new cells. It is required to make DNA and RNA, the fundamental building blocks of cells, and can prevent DNA changes that can lead to cancer. It is required to produce red blood cells and prevent anemia, and is absolutely essential to the development of the central nervous system. Today we now that too little folate is correlated with neural tube birth defects like spina bifida and anencephaly, but that wasn't always obvious. It wasn't until two studies in the early 90s, published in the New England Journal of Medicine and the Lancet, of large groups of women randomly assigned to take folic acid or placebo showed conclusively that too little folate increased the chances of having a child born with spina bifida or anencephaly that people truly understood the power of this vitamin, particularly during pregnancy. In fact, folate is so crucial, to pregnant women and their fetuses and to the general population, that a the Centers for Disease Control published a paper in 1996 entitled, "More folic acid for everyone, now," claiming that, "Research during the last 5 years has made it clear that people who do not take folic acid supplements are at increased risk for functional folate deficiency, which has been proven to cause spina bifida and anencephaly and also has been associated with an increased risk for occlusive cardiovascular disease. The overriding folate policy issue is how to increase dramatically the folate consumption of 75% of the population who are now consuming 0.4 mg of folic acid in a supplement. The most expeditious way to increase consumption is through fortification of a food staple." Sure enough, in the same year, the Food and Drug Administration passed regulations requiring that folic acid be added to enriched breads, cereals, corn meals and other grain products. But folate isn't for pregnant women alone. Low levels of it have been correlated with depression. One study found that those with higher levels of folic acid in the body had lower instances of depression. Several studies have found that people take in higher than average amounts of folate for a minimum of 15 years have lower risks of colon and breast cancer. In the U.S. most women who eat enriched foods still don’t get all the folic acid they need, despite the enrichment of foods, and a supplement is required to meet the recommended dosages. Adults should take in a minimum of 400 micrograms (mcg) of folic acid daily, while pregnant and breastfeeding women need 500-600 mcg. VITAMIN B12 helps keeps the body's nerve and blood cells healthy, is important for metabolism, helps make DNA, and works to prevent anemia. A 2001 study by researchers at Tufts University found that 40% of health men and women, with balanced diets, had low levels of B12. The Office of Dietary Supplements notes that there have been several research studies on how vitamin B12 might impact health. Older people who develop dementia tend to have higher levels of an amino acid called homocysteine in their blood. Vitamin B12 (along with folic acid and vitamin B6) can lower homocysteine levels, but it is not year clear whether the vitamins can help treat or prevent dementia. Adults should have about 2.4 mcg of vitamin B12 each day, pregnant teens and women 2.6 mcg and breastfeeding teens and women 2.8mcg. It is especially crucial that women older than 50 take a vitamin B12 supplement, because as women age it becomes harder for them to absorb the nutrient from food. 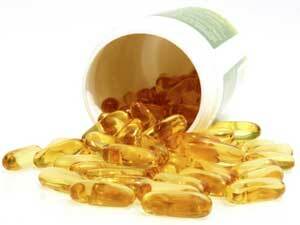 Vitamin E assists in the formation of red blood cells and in maintaining cell membranes. It may also slow age-related changes, can help some skin conditions, may assist in preventing heart disease, and is thought to lower the risk of chronic obstructive pulmonary disease by about 10%. WebMD claims that "Vitamin C is one of the safest and most effective nutrients," which is pretty impressive, given how effective so many of the nutrients in this post are. Vitamin C assists in the growth and development and repair of body tissues, teeth, and bones, improves the body's absorption of iron, helps the immune system fight against disease, and contributes to makeup of collagen, a fibrous protein that connects and supports the body tissues, making up the skin, cartilage, ligaments and tendons. Since C increases the amount of collagen the body produces, it can help reduce wrinkles--and firm and moisturize skin. The vitamin also fights those infamous free radicals, which are molecules that cause aging and tissue damage, so it's really a two-fer for your skin. In fact, C does a whole lot more than just fight colds. Seminars in Preventive and Alternative Medicine analyzed over 100 studies over 10 years on vitamin C and found a growing list of ways that it helps many aspects of health. Researcher Mark Moyad, MD, said, "Higher blood levels of vitamin C may be the ideal nutrition marker for overall health. The more we study vitamin C, the better our understanding of how diverse it is in protecting our health, from cardiovascular, cancer, stroke, eye health [and] immunity to living longer." Vitamin A is important for healthy eyes, assists immune system functioning, and plays a role in reproduction. It also helps keep the heart, lungs, kidneys, and other organs working properly. 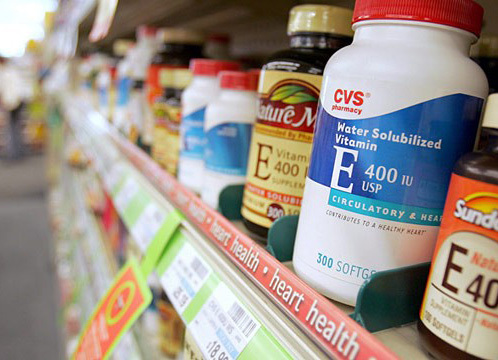 The Office of Dietary Supplements notes that supplements of the vitamin are known to make a difference in age-related macular degeneration, which involves the loss of central vision as part of the process of aging, and is one of the most common reasons that older people lose their vision, and one of the leading causes of blindness in older women. Studies have shown that supplemental A combined with other antioxidants can help slow the rate of vision loss. Healthy women should take 700 mcg of vitamin A daily. Pregnant women need 770 mcg, as women with low A during pregnancy risk their fetuses being born blind or more vulnerable to disease. Nursing women need to nearly double the amount they take in, consuming 1300 mcg a daily. Vitamin D may be responsible for warding off such a variety of dread illnesses such as depression, heart disease, and even cancer. Certainly it helps the body absorb calcium from food and other supplements, keeping women's bones hard and healthy, and fending off osteoporosis. If the body runs short of vitamin D, it will replenish it calcium and phosphorous from the bones themselves, which contributes to the progression of osteoporosis. Vitamin D also enables muscles to move, allows nerves to carry messages between the brain and body parts, and assists the immune systems in fighting off infection. Some studies indicate that vitamin D might protect against colon cancer and potentially breast cancer, as well. In the 80s, researchers discovered that colon cancer rates were higher in northern parts of the U.S., where sunlight exposure (and thus vitamin D intake through sunlight) is lowest. They followed 30,000 women for years to discover how much D they had in their bodies, and found that women with the lowest blood levels had twice the risk of developing cancer than those who had the highest. David Heber, MD, director of the UCLA Center for Human Nutrition and author of What Color Is Your Diet? highly recommends a D supplement. 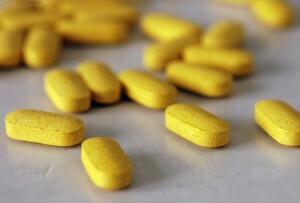 He says, "“We recommend extra because most multivitamins don’t contain enough.” In part, that’s because in 2006 the FDA raised the recommended dosage of vitamin D to 1000 IUs (international units). Though foods like fatty fish, liver and eggs do contain a small amount, it’s almost impossible to get all your D from food. Omega 3 Fatty Acids can be found in fatty fish like tuna, salmon, and sardines. They aide in proper brain function, are important for cognition (memory and brain performance) and behavioral functioning, can help bring down high blood pressure, and eases inflammation. Additionally, research indicates that omega-3 fatty acids may help reduce the risk of heart disease, cancer, arthritis, and other joint problems. Clinical studies on rheumatoid arthritis and omega-3 fatty acid supplements have found that the oil can help decrease the symptoms of the arthritis, including joint pain--perhaps even to the extent that sufferers can lower their doses of non-steroidal anti-inflammatory drugs (NSAIDs). However, the supplements do not slow the progression of the illness; they merely work towards symptom relief. Some scientists believe that women who eat foods rich in omega-3 fatty acids over many years are less likely to develop breast cancer. More research is needed to before the correlation can be understood. Other studies have indicated that those who hate more fish high in omega-3 fatty acids had less macular degeneration than those who ate less. They are crucial for proper fetal development. The University of Maryland Medical Center points out that infants who don't get enough omega-3 fatty acids during pregnancy are at risk for vision and nerve problems. mood swings or depression. Notably, in a study 0f 30 people with bipolar disorder, those who took fish oil in addition to their medications for 4 months had fewer mood swings and a lower rate of relapse than those who took placebo. There is no established recommended daily allowance for omega-3 fatty acids, but the general recommendation is to try to get one gram a day. Coenzyme (CoQ10) is a substance that's found naturally in the body and helps convert food into energy. CoQ10 is found in almost every cell and is another powerful antioxidant. At 100-300 mg daily, CoQ10 is known to prevent migraines, which women are three times more likely to suffer from than men. Heart Attacks: Those who took CoQ10 supplements within 3 days of a heart attack were less likely to have more heart attacks and less likely to die of heart disease than those who didn't take the supplements. Heart Failure: Congestive heart failure causes blood to pool in parts of the body like the legs and the lungs. CoQ10 supplements (along with regular medications) can help reduce swelling in the legs and fluid in the lungs. Gum Disease: Gum disease causes inflammation and bleeding of the gums, and studies have shown that those with gum disease have low levels of CoQ10 in their gums. A few studies have shown that CoQ10 supplements assist in tissue repair. Additionally, early clinical studies indicate that CoQ10 might increase exercise ability in people with angina and improve immune function with people with HIV or AIDS. Recommendations for daily CoQ10 intake range from 600-300 mg.
Lutein is crucial for women's eyesight as they age. Called a carotenoid vitamin, it is related to beta-carotene and vitamin A. According to WebMD, lutein is one of two major carotenoids found as a color pigment in the human eye. It functions as a light filter, protecting the eye from sunlight damage and resulting age-related macular degeneration. Lutein is found in breast and cervical tissue and supports the general health of these tissues too. Women should take 6-10 mg, and should take it with food for better absorption. More than 40% of women take a multivitamin, recommended by many doctors and researchers, and it often will include a number of the nutrients listed above. In addition to those, however, an ideal multivitamin for women should also include vitamins B1 (thiamine), B2 (riboflavin), B3 (niacin), B5 (panthothenic acid), B6 (pyroxidine), B7 (biotin), and K, and minerals copper, chromium, manganese, molybdenum, selenium and zinc.